The Ultimate Guide to Apple Cider Vinegar Benefits. Before we dive into what seems to be an endless list of proven benefits (maybe it’s not all “hype” after all…), we thought it best to give you a “Layman’s” introduction as to what, specifically, Apple Cider Vinegar is. Apple Cider Vinegar is one of those “ancient” remedies that has been used for centuries for a variety of household and cookies remedies. As you probably imaged, along with cooking and cleaning solutions, Apple Cider Vinegar has also been touted as one of the greatest health “Super Stars” of our generation, too. Apple Cider Vinegar is the most popular and proven “natural” remedy in health communities everywhere. So, where does Apple Cider Vinegar come from? By squeezing the juice out of apples, you guessed! Okay, there’s a couple more steps once you’ve extracted the apple juice from the apples. By adding certain bacteria and yeast to the apple juice, over time, it ferments into what we know as the final product, apple cider vinegar. …which results in Apple Cider Vinegar. As you’d imagine, this vinegar is highly acidic, as it’s primary component is acetic acid. It doesn’t actually contain any vitamins or minerals. However… there’s a wide array of research being conducted on the number, and types, of phytochemicals, contained within Apple Cider Vinegar. In this guide, we’ll do our best to decipher between the two, in an effort to provide you with the Ultimate Beginner’s Guide to Apple Cider Vinegar benefits! …so long as it contains natural sugars. If you remember in the section above, where we discussed the fermentation process with which vinegar uses to result in the final product, it’s the yeast that ferments these sugars into alcohol. It then takes a certain type of bacteria to convert that alcohol into the end-result of vinegar. …there’s a long list of vinegars to be made aware of. To start our list of benefits associated with supplementing with Apple Cider Vinegar, we’ll begin with the biological effects that research has shown it to be beneficial to. With only (roughly) 3 calories per tablespoon and small amounts of potassium, quality Apple Cider Vinegar contains some crucial amino acids and antioxidants necessary for maintaining optimal health. … Fungus, lice, warts, ear infections, and a variety of other biological infections. That being said, if you’re looking for an all-natural means of preserving your foods, then Apple Cider Vinegar is one of your best bets. 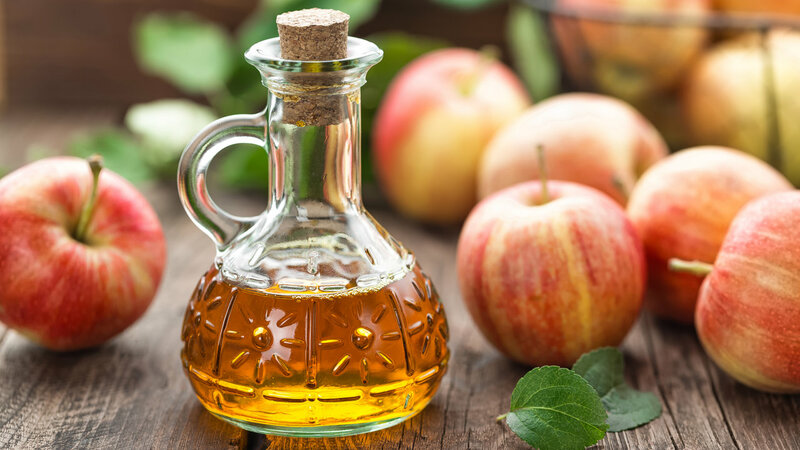 Far and away, one of Apple Cider Vinegars most prominent benefits is related to its benefits towards blood sugar health and the prevention of diabetes. As we know, Type II Diabetes is characterized largely by the effects of increased blood sugar. With elevated blood sugars, regardless of whether or not you have diabetes or not, it’s believed to be a major contributing cause of aging and various chronic diseases, sicknesses, and health symptoms. Apple Cider Vinegar shows incredible promise in the field of enhancing insulin sensitivity and lowering blood sugar response. Is its ability to support healthy weight loss. In fact, there are a number of studies that show that vinegar, especially, Apple Cider Vinegar, helps to increase the sense of Satiety in the body. This, of course, is the sensation of feeling full, which helps to decrease hunger cravings. And, with regards to overall weight loss and fat loss, in particular, the ability to curb ill-advised hunger cravings, is one of the most efficient means of supporting a healthy weight loss campaign. It’s important to understand that Apple Cider Vinegar, along with its wide variety of benefits, is most notably known to increase feelings of “fullness”. It found that, by consuming a mere tablespoon in the morning, Apple Cider Vinegar was able to decrease natural production levels of cholesterol. This, of course, is due to ACV’s ability to increase bile production, which helps to support the liver’s immune function. When it comes to cholesterol, our primary objectives, in the effort to maintain optimal health, are to avoid low-density lipoprotein (LDL). LDL is known to build up in the arteries, which puts us at risk for heart disease, high blood pressure, and general health symptoms and illnesses. When it comes to detox, there’s no shortage of “magic bullet” solutions available on the internet. When it comes to using Apple Cider Vinegar for detoxing, the “proof is in the pudding”, for lack of a more original pun. Have large amounts of users that have experienced a number of extremely common benefits associated with the use of Apple Cider Vinegar. So, with all this in mind, it makes sense the dive into the best Apple Cider Vinegar Supplements. By now, there’s a fair chance that you’ve had at least a couple of “Ah-Ha!” moments, as it relates to supplementing with Apple Cider Vinegar. With more than two dozen proven and unproven (but widely experienced) benefits associated with this “miracle stuff”, it’s safe to say that, regardless of what you’re suffering from now, whether short-term symptoms or longer-term chronic illnesses, Apple Cider Vinegar is worth a shot. The form with which you consume it. American Health is one of those brands that, once you hear about them, you realize that they’re one of the “good guys”. And by “good guys”, we’re referring to their brand reputation and their likability amongst the consumers who use their products and the pharmacists whom often recommend their products. American Health is one of those brands. Their Apple Cider Vinegar capsules were formulated to deliver all the nutrition benefits of a pure Apple Cider Vinegar but in the convenience of easy-to-swallow capsules. Aside from the convenience that the capsulated form provides, it also serves as a unique alternative to the all-too-common and largely disliked “tarty” taste of vinegar! In terms of their formula, which is the most crucial element of any dietary supplement to be closely reviewed, there are a number of factors that we’re confident you find right “in your wheelhouse”. Also, American Health’s brand is suitable for Vegans! With 200 tablets and a serving size of 1-2 tablets per day, American Health offers one of the best Apple Cider Vinegar supplements on the market, especially for those who are new to it. If you’re looking to introduce Apple Cider Vinegar to your daily supplement regimen, but are leery of all the “too-good-to-be-true” news, this is the perfect “beginner’s” choice to get started. Below, we’ve provided a link for you to read over 300 nearly 5-Star reviews from verified Amazon customers! Not only has Bragg been in the food and dietary supplement space since 1912, but they also happen to be the largest and most well-known brand in the world for Apple Cider Vinegar products. Chances are, you’ve already seen their labels every time you’ve walked through the vitamin and supplement aisles at your local grocery stores. With over 530 different food- and supplement-based products in the organic and all-natural space, Bragg offers one of the largest selections of Apple Cider Vinegar products, too. With the Mother is a term that describes the “dark, cloudy substance the forms in the Apple Cider Vinegar (liquid forms). It forms from the naturally-occurring pectin and apple residues during the fermentation process. It appears as, what looks like, strand-like chains of protein molecules. You’ll know what we’re talking about when you try your first raw, organic ACV product. The presence of “The Mother” is actually the best part of the apple, which hasn’t been destroyed. This is the most nutritious part of the Apple Cider Vinegar and is the most beneficial element that you’ll digest. Aside from that, as mentioned above, Bragg’s Apple Cider Vinegar is also “Unpasteurized”, which indicates that it does not carry the E. Coli bacteria, as the acidity in their vinegar has been tested in the killing of the 0-157 strain of E. Coli. Kudos here, Bragg! With over 3,600 near 5-Star reviews from Amazon verified customers, Bragg is, without question, our #1 ranked “Best Apple Cider Vinegar Supplement” of 2017. And, as always, if you decide to try one of our recommended Apple Cider Vinegar products (or any other, for that matter), come back to Supplement Demand and let us know about your experience!